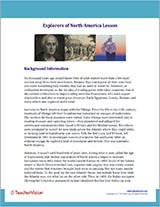 Teach children about Christopher Columbus with these research activities. Sharpen logic and learn about Christopher Columbus with this activity. Interesting facts and fun activities related to Christopher Columbus's voyage. A brief article about Columbus Day.